It is now possible to perform a visual analysis of OLAP data, using modern and state of the art charts, while keeping the unique and intuitive EV user. 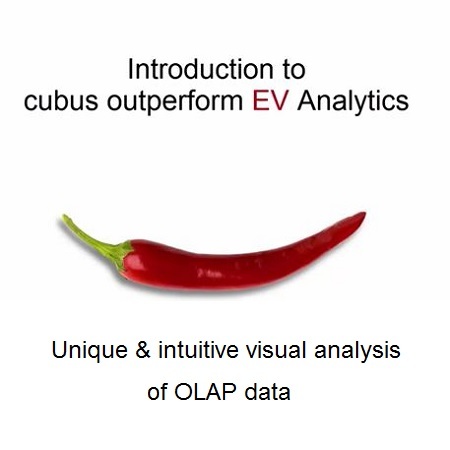 cubus outperform EV Analytics is a solution for organizations that have licensed IBM Executive Viewer and are looking to migrate to an enhanced and supported solution as a result of IBM discontinuing support of IBM Executive Viewer as of April 30, 2017. For more information, click here.